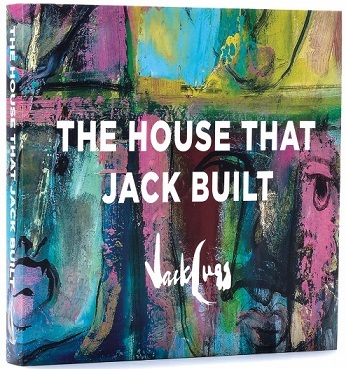 The Jack Lugg Art Gallery cc has published an immense work on the life of revered South African artist and educator Jack Lugg entitled The House That Jack Built. The foreword is written by Norman Catherine who studied under Jack Lugg for his only formal art training. Catherine is recognised as one of South Africa’s leading contemporary artists. His work is included in most South African art museums and corporate collections as well as in MOMA (the museum of Modern Art) and the Brooklyn Museum in New York. Jack and his wife, Rosemary, have left a legacy of more than seven decades of extraordinary art production. Initially, the Jack Lugg Art Gallery thrived in Knysna for 18 years. Thereafter, it continued to run in Plettenberg Bay through the gallery website and studio appointments until Jack’s passing a few months short of 90 years old. Now run by his children, the Jack Lugg Art Gallery sells artworks through the website and arranges private viewings by appointment in Port Elizabeth. The works on show range from Lugg’s teens in Pretoria where he studied under Walter Battiss, to his service in World War II, through his studies in Durban where he won the Emma Smith scholarship, to Camberwell, London and Ecole des Beaux Arts, Paris, where he studied under Matisse. The subject matter reveals Lugg’s deep connection with the landscape, animals, and people of Africa. Lugg held his first exhibition at 17 years old and continued to exhibit in many solo and group exhibitions throughout his expansive career. His art can be found in significant public and private art collections around the world. Whether you know of Jack Lugg and his art or not, the story and artwork within the pages of The House that Jack Built will inspire you.